Last week, we looked at the top 7 multicloud success tips. Some of the tips discussed included taking advantage of visibility, optimizing predictive analytics capabilities, and preparing for the data center of today and tomorrow. 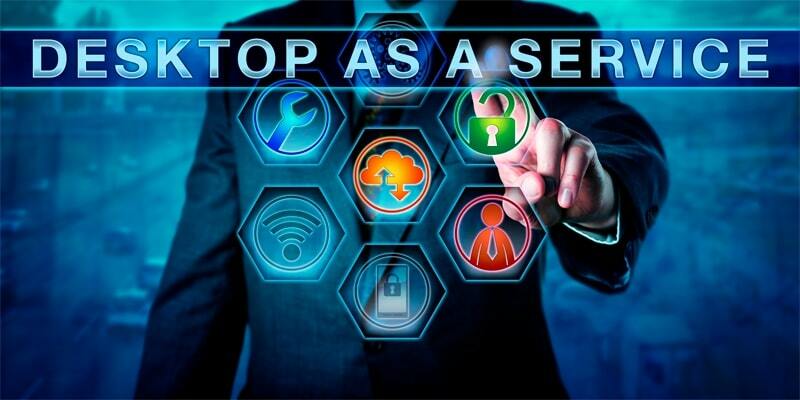 Are you ready for IT-as-a-Service? 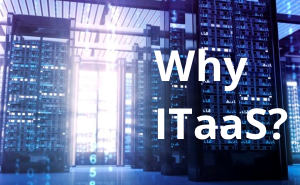 5 Benefits of ITaaS. 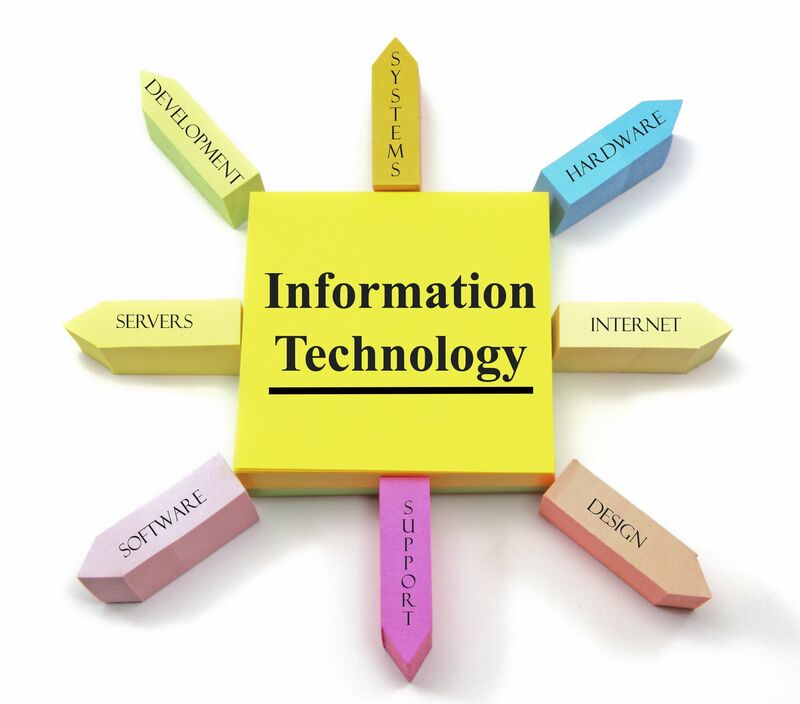 Information Technology as a Service (ITaaS) represents a change in paradigm when it comes to managing IT. When you treat IT as a service provider, you can ensure that your enterprise has exactly the right amount of hardware, software and support to fit the unique and changing needs of your business. You'll find that you are more agile and able to deal with whatever comes up. And, you'll find that, under an ITaaS model, you'll save time and money, dramatically improving your bottom line. Enterprise mobility is a key strategic component of any digital transformation strategy. When handled properly, it can help you better serve your customers through both mobile devices and laptops, while also helping your organization clarify its technology efforts with a “digital-first” mindset. One of the reasons why IoT is so vulnerable to attacks is the lack of visibility in what is truly happening in your environment. This is where edge computing comes in. Edge computing is about keeping compute proximal to the physical environment where it is collected in the first place, rather than forwarding everything to the cloud (particularly processing and storage). In the same way that the client/server computing model replaced the mainframe, enterprises are beginning to realize the benefit of a distributed computing model when it comes to IoT. 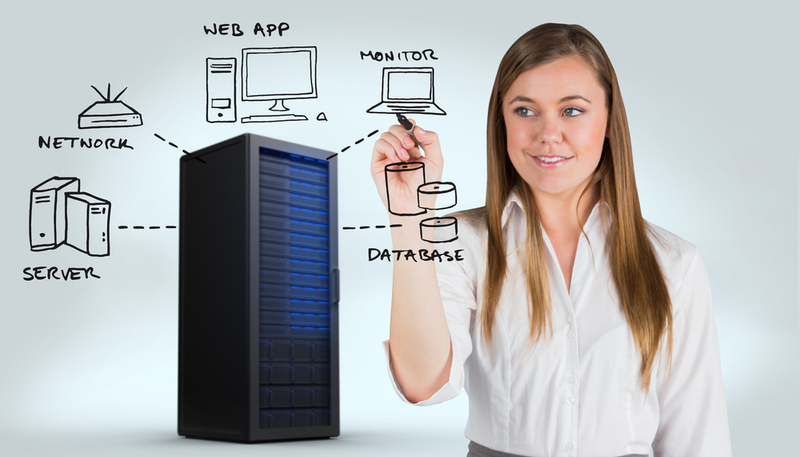 Client/server architecture put processing power in physical proximity of the end user. Edge computing provides a local segmented processing network for IoT devices. If your career centers on enterprise architecture, then you are literally watching history repeat itself in real time. Decades ago, enterprise resources and processing power were concentrated within the mainframe and users had to work in close approximation of it. But then, users from the outer perimeters started demanding more capabilities, which translated into more resources where they were—at the edge. This introduced the PC, which decentralized enterprises and transitioned in the era of the client server model that users loved. Once again, the technology cycle is about to repeat itself. Software as a service and many other digital business models have never been the same since the possibility of leveraging hybrid IT. Thanks to it, an organization can deliver services in a more optimized, balanced, automated, granular, and flexible fashion. 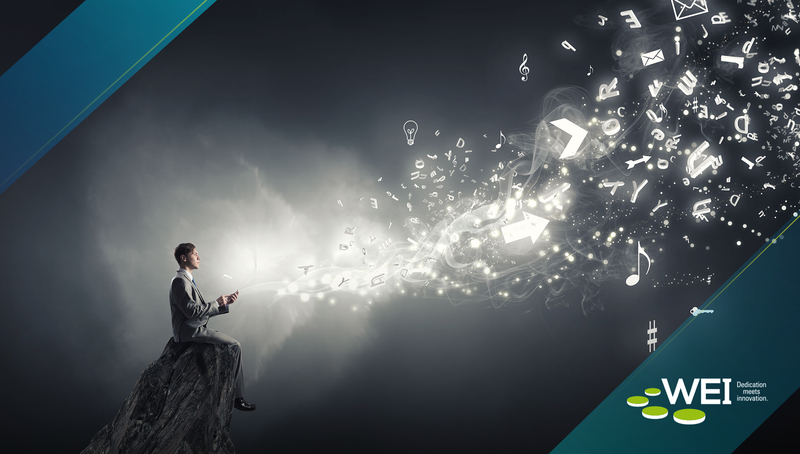 The idea economy (a term coined by HPE) represents a new paradigm, where a company (of any size) can add value and disrupt the market faster than ever—thanks to the advancement of the public cloud, mobile devices, social media, and big data analytics. 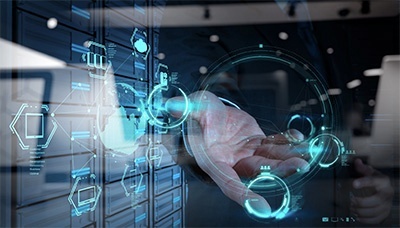 Transforming your data center into an agile, hyper-connected enterprise IT environment that can handle the challenges of the idea economy will require some investment. But that investment is probably less than you might think and there are multiple ways to approach financing that won’t break the bank. 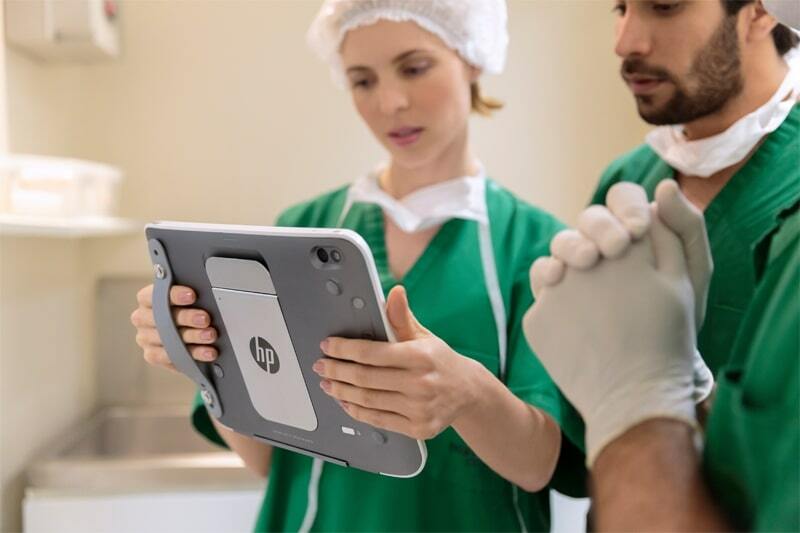 IDC completed a web survey involving 83 end users that have purchased and deployed Hewlett Packard Enterprise (HPE) SimpliVity solutions in their organizations. IDC also gathered qualitative data by conducting in-depth phone interviews with three customers using SimpliVity in production environments. This post aims to share the results of those surveys to show you what customers are saying first hand. As we discussed in our white paper, “Augmenting and Enhancing Your Existing Network with a Hybrid Cloud,” there are many advantages of a hybrid cloud model such as greater levels of redundancy and elasticity. To acquire the advantages that a hybrid cloud offers requires a lot of planning and preparation. We have compiled a comprehensive checklist to aid you in the preparation of your deployment. Last week we published part one of this two-part blog series, “How to Successfully Navigate Enterprise Storage Sizing and Pricing Issues.” This week, we will focus on challenges related to how to think about enterprise storage and how to evaluate it. 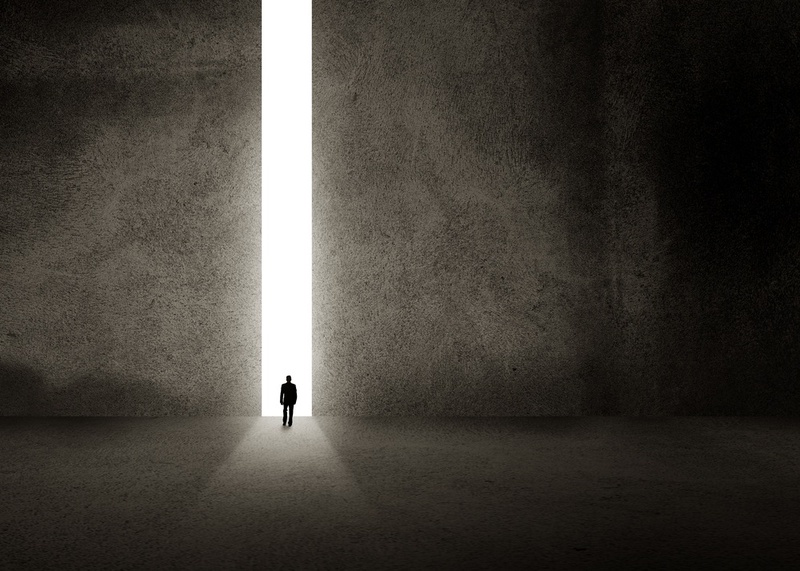 Today’s IT leaders are at a crossroads. Behind them, there’s a long legacy of hardware and software deployment decisions that have served the business well for years. But new business requirements and application development methods have begun to test the status quo, and as they seek to modernize, they will face several difficult decisions. IT leaders can either commit to the cloud, go all in with on-premises infrastructure or evaluate something entirely new. Despite the growing popularity of cloud-based workloads, many companies’ own enterprise data centers keep thriving and growing. Among these on-going investments is the need to upgrade or replace an organization’s current enterprise storage. 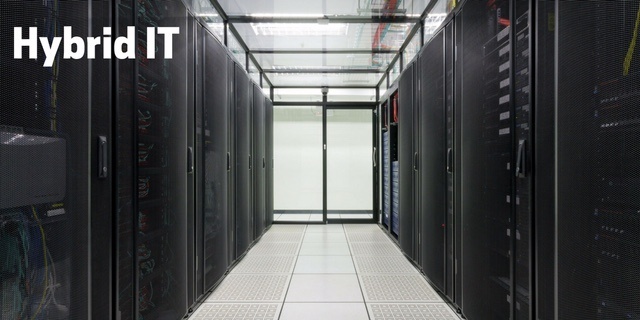 Often considered the central cog in a data center network, enterprise storage plays a key custodial role in housing many organizations’ mission-critical data assets. 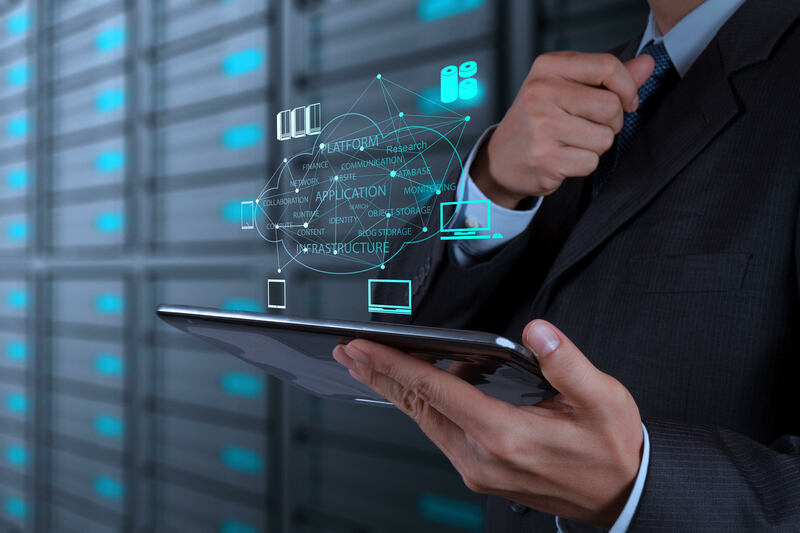 One of the biggest struggles with managing an enterprise data center is the need for various tools with multiple interfaces to manage the different systems associated with IT. This struggle is compounded with the fact that each of these data center systems do not talk to each out of the box, and complex integrations begin to take over. 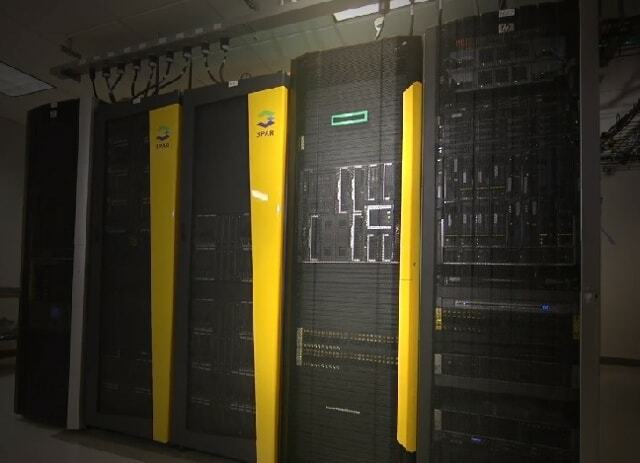 HPE Synergy addresses this challenge by delivering an infrastructure that can manage the technical, as well as the organizational side by combining storage, compute, and network equipment into one. Using Containers? 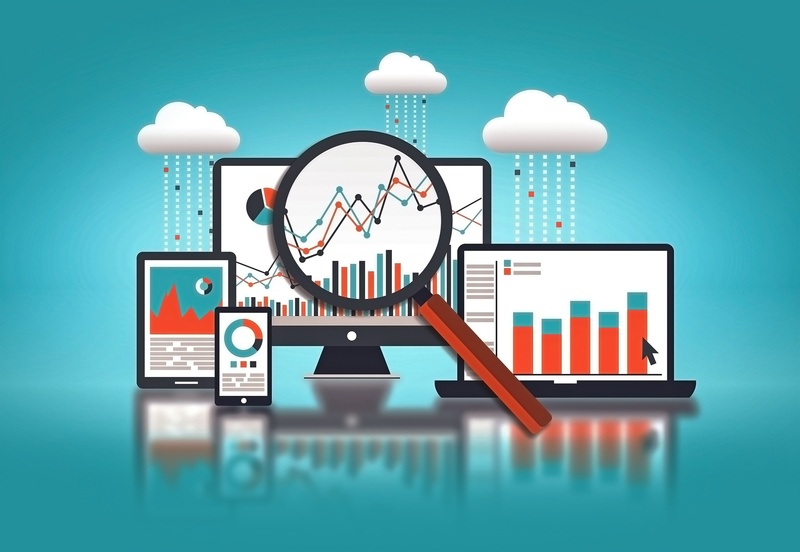 Here are 7 Benefits of Visibility Tools. 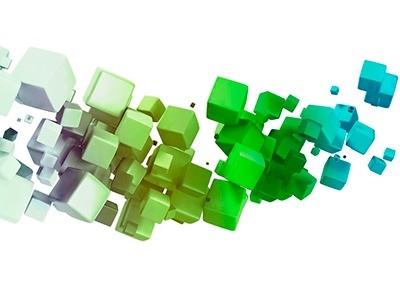 Containers are best known for their role in simplifying application development, providing a disposable, reusable unit to modularize delivery, and bring consistency to virtually every development stage. They have demonstrated an ability to move DevOps forward by transforming the way development and infrastructure teams operate, and they have helped these teams move ever closer to continuous delivery. 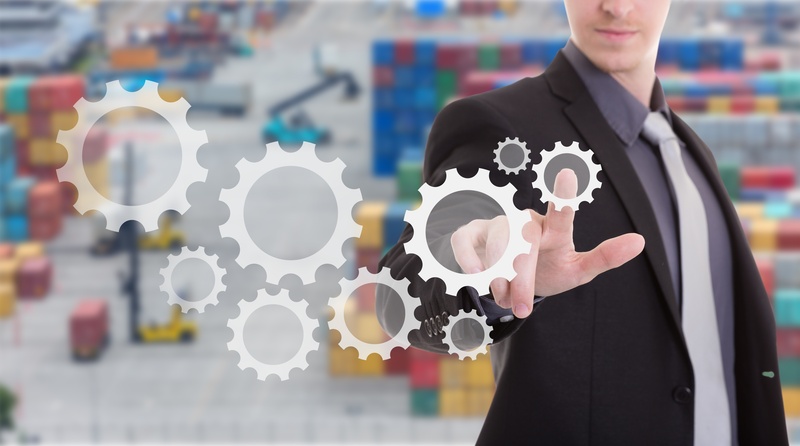 However, managing containers presents an entirely new challenge for most organizations. Containers, by their very nature, rely on shared resources. These may range from operating systems and application files to hosting resources including memory and CPU. When left unchecked, container use can lead to sprawl and may result in resource drain. With hooks into so many different areas, there is a strong incentive to know precisely what these containers are doing, what resources they are consuming, and how they are utilizing the network. 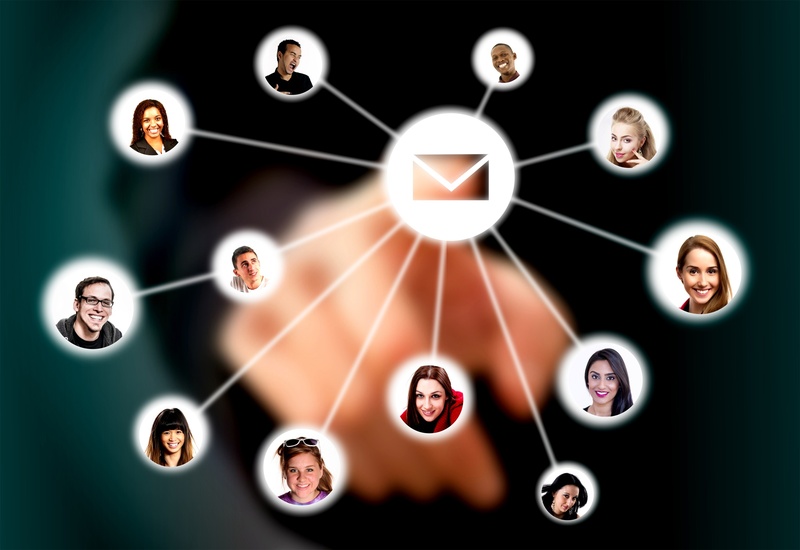 How much visibility do you have into your organization’s network? 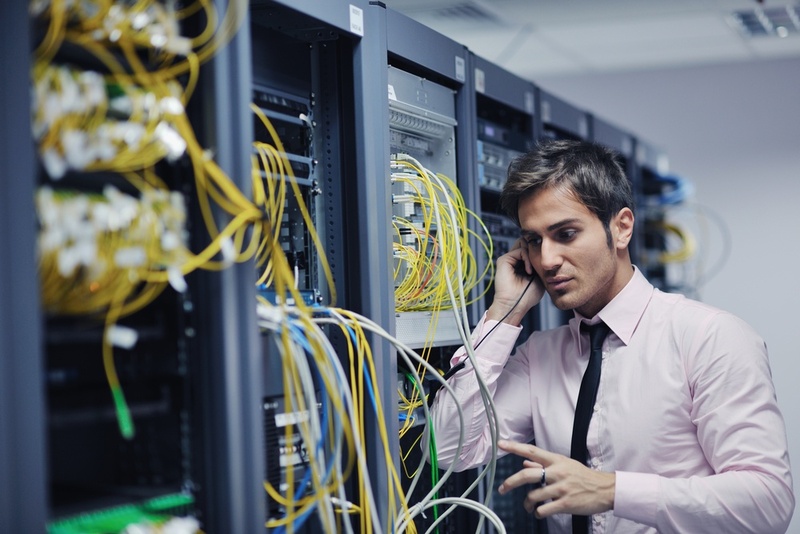 How confident is your IT team in its ability to accurately map out the network, which is a necessary step in data center migrations. 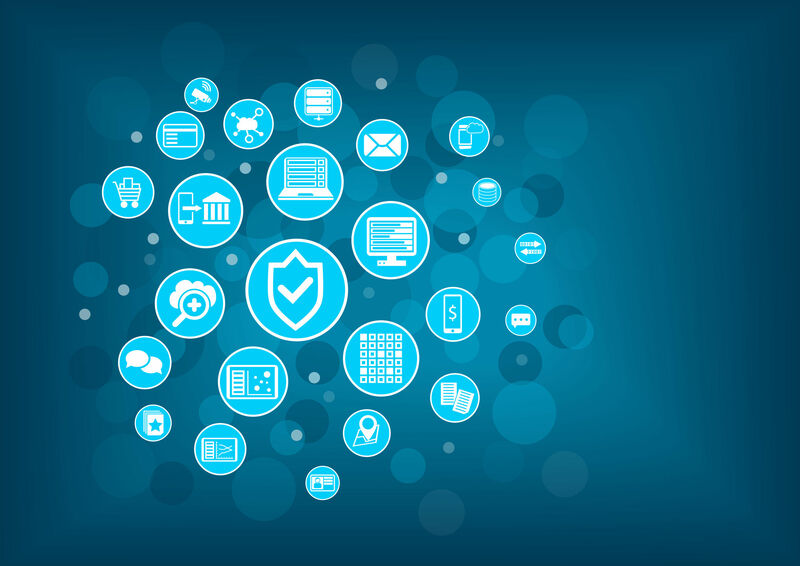 According to a white paper from IDC, a mere 18% increase in network visibility can improve security breach preventative measures by over 40%. Many organizations know there are devices on their network that are unaccounted for, but many do not have a way of even guessing how many devices that is, let alone strategizing how to secure them. 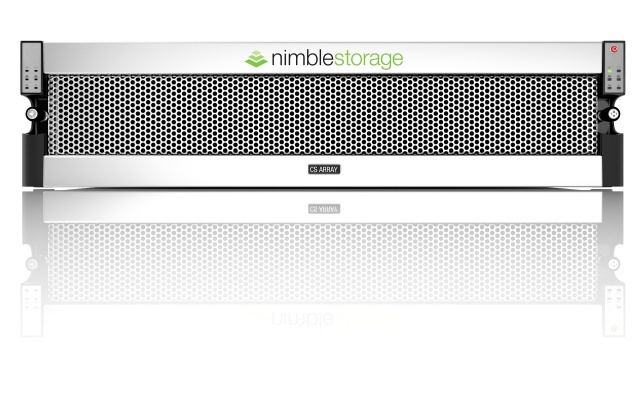 When was the last time you gave your storage solutions an in-depth and thorough review? Whichever enterprise storage solution you use for your organization, it’s important to make sure that the brain of your operations is working smoothly and data is flowing where it’s needed, when it’s needed. The ability of an enterprise to keep up with changing technology depends on the skills of its IT employees. The pace of innovation can be overwhelming even for the most experienced professionals, but this isn’t the only challenge organizations face. As companies understand the importance of digital transformation and take it on within their company, the demand for IT professionals with the required skillsets to transform legacy driven data centers into hybrid infrastructures is skyrocketing. 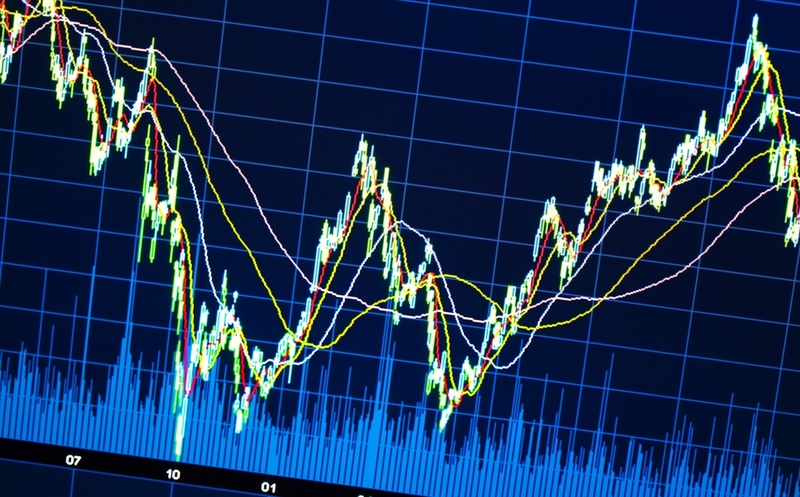 As a result of this move towards hybrid IT, the demand is outpacing supply. Think about how much data your company created in 2016. According to IDC, the world collectively created about 16.3 zettabytes (yes, a zettabyte is a billion terabytes). They also predict that the world will create 10x that amount by the year 2025. Approximately 90% of that data will be stored in file and object storage. While consumers have traditionally created the bulk of the data up to now, enterprises will create 60% of the world’s data in 2025. At that time, ten percent of all data will be created by IoT. This brings with it a number of challenges as a result of this exponential growth. Last week we began a discussion on the steps you need to take to prepare your enterprise for containerization; now we continue the conversation with the rest of the actions you need to take before you can deploy a containerized approach. Goldman Sachs describes the Nutanix software-driven enterprise cloud as a “once-in-a-decade infrastructure story.” Goldman Sachs does not toss out lofty acknowledgements like that haphazardly. 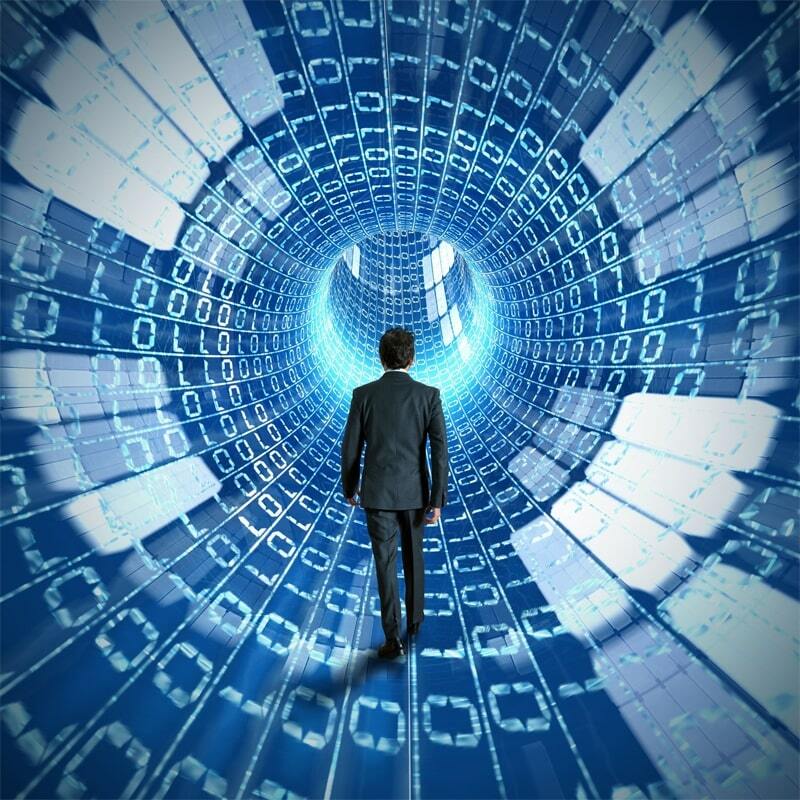 Their research shows that companies are moving to hyperconverged systems to escape the legacy silo dominated IT infrastructure of yesteryear that is holding them back in a dynamic digital world. They see Nutanix as being a large benefactor of this movement due to its leadership and innovation. 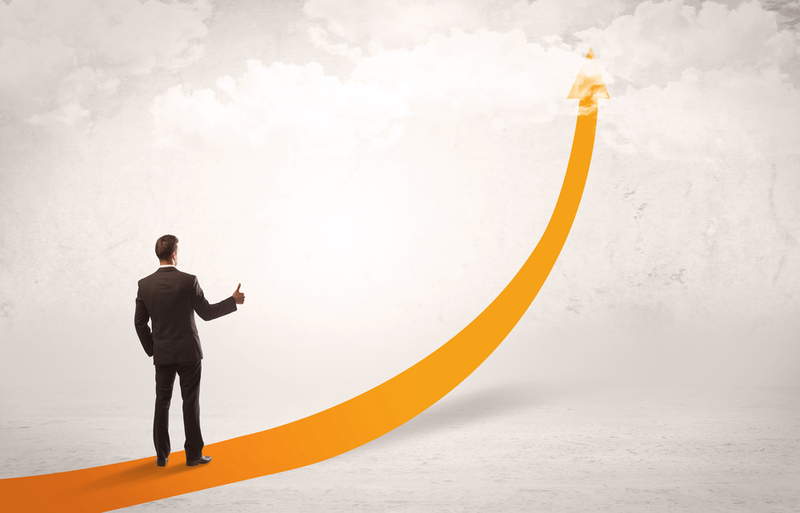 Nutanix and its Enterprise Cloud solution are positioned for success. 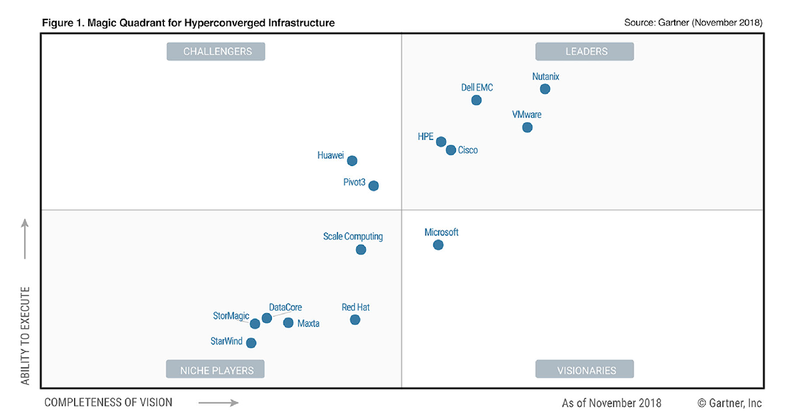 This is further substantiated by Gartner, who recently recognized Nutanix as a leader in its magic quadrant for Hyperconverged Infrastructure. Data plays a critical role driving decisions today for your company and your competitors. 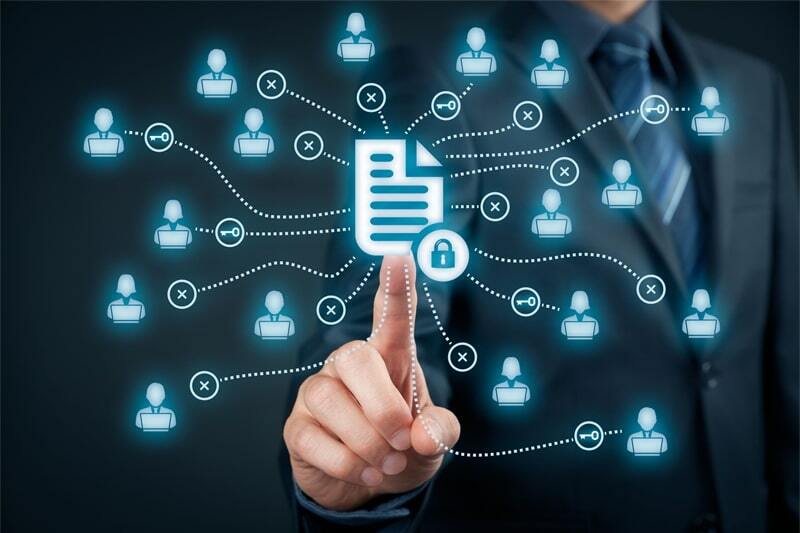 Having the ability to access your data as quickly and efficiently as possible can provide a competitive edge in a crowded and disruptive marketplace. 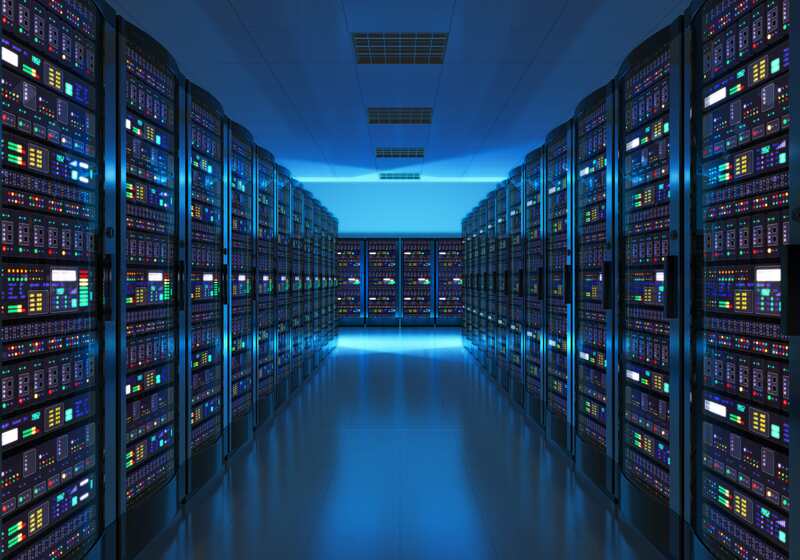 The demand to acquire the data you need, when you need it, is why many companies are turning to all-flash storage systems that are smart, fast and efficient. 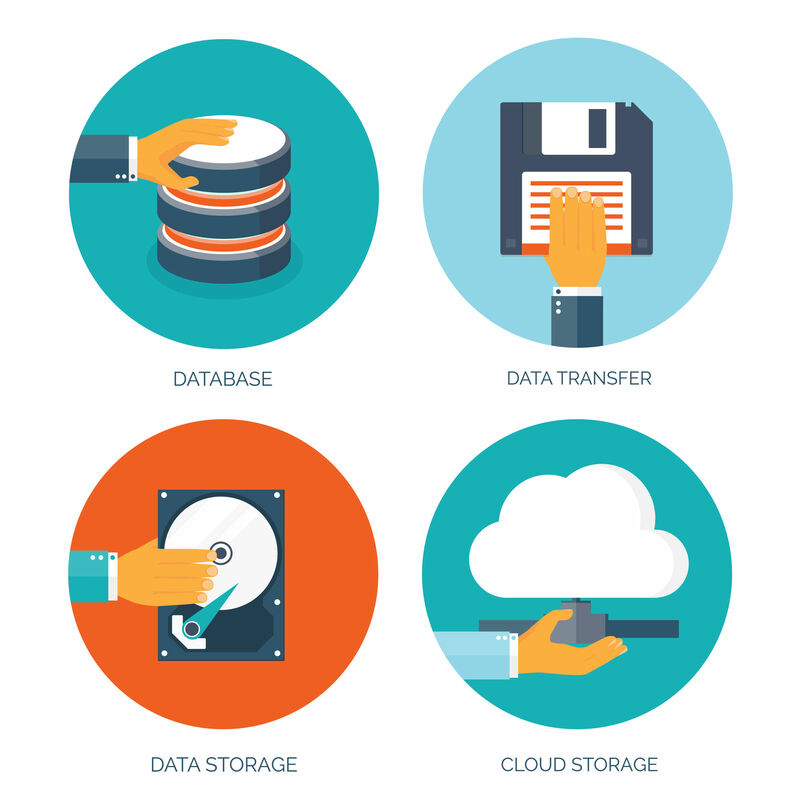 Your enterprise storage system is about more than just storing your company data. It is about making your data work for your business and the customers it serves. 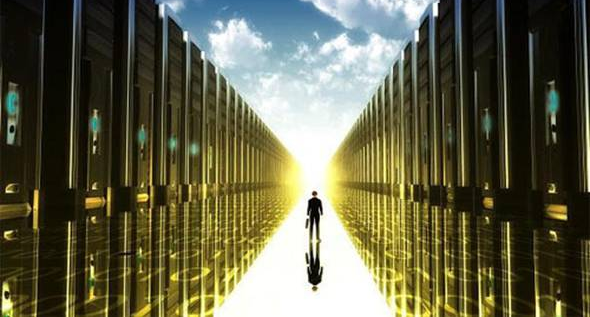 A hyperconverged infrastructure provides enterprises with the ability to expand their network into the virtual realm. This setup combines the functionality of traditional hardware into manageable software functions, all of which are controlled through one tool. This ability to use services as a software allows enterprises to respond more quickly to internal and external environmental changes, plus it offers the security, capacity, and customization ability needed to be successful. 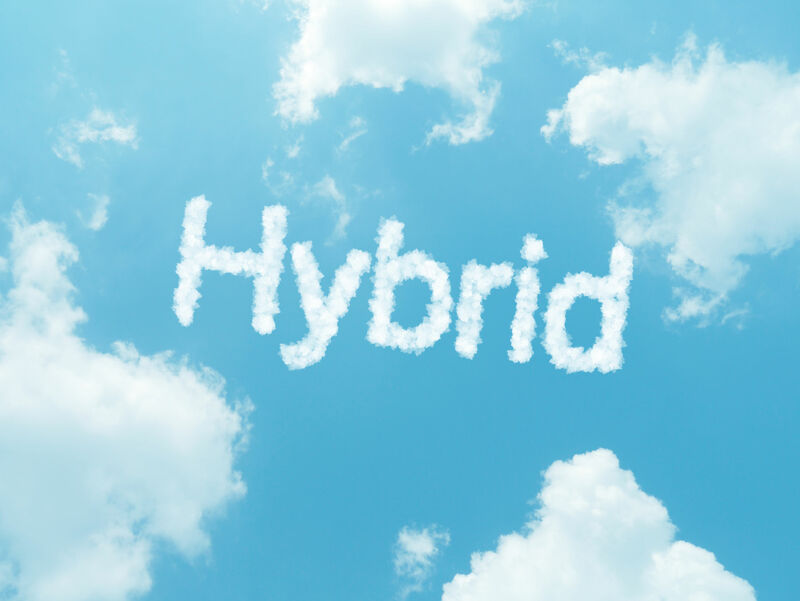 What’s the Difference Between Hybrid IT and Hybrid Cloud? When discussing hybrid solutions and digital transformation, there is often some confusion between Hybrid IT and Hybrid Cloud. While there are certain striking similarities, it is critical to understand that there are also very important differences between the two and how enterprises use them within their organization. 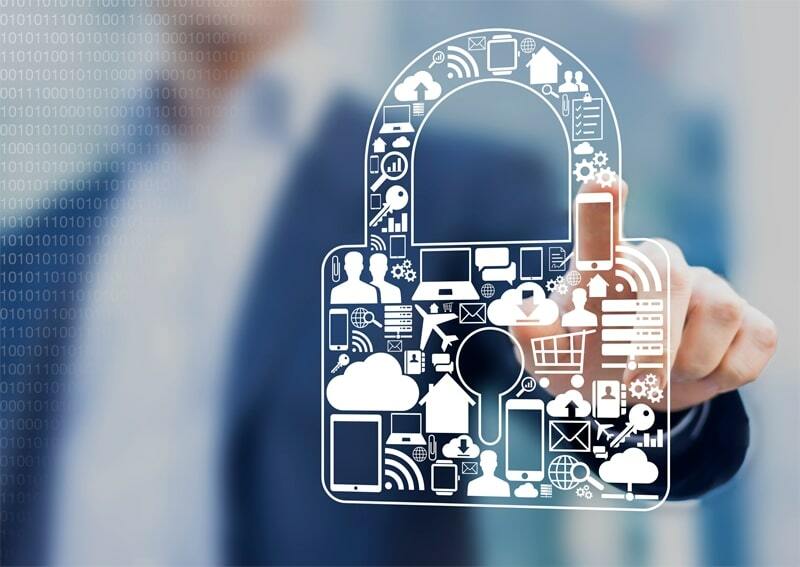 The digital landscape is changing at a rapid pace, and with change comes an increase in the need for cybersecurity measures that protect businesses. Although technology is providing exciting opportunities, it also brings with it challenges that enterprises must learn to overcome. Those who are pursuing the latest architype known as hybrid IT in order to revolutionize their enterprise and complete the digital transformation of their organizations know the dream. The dream is to free ourselves from the isolated silos of the traditional data center and obtain the flexibility of a free flowing ecosphere in which workloads are matched with the right platform that both optimizes the user experience and maximizes ROI at the same time. Hybrid IT is about obtaining an unparalleled degree of elasticity in order to migrate applications at will amongst hosting structures (cloud and on-premises). 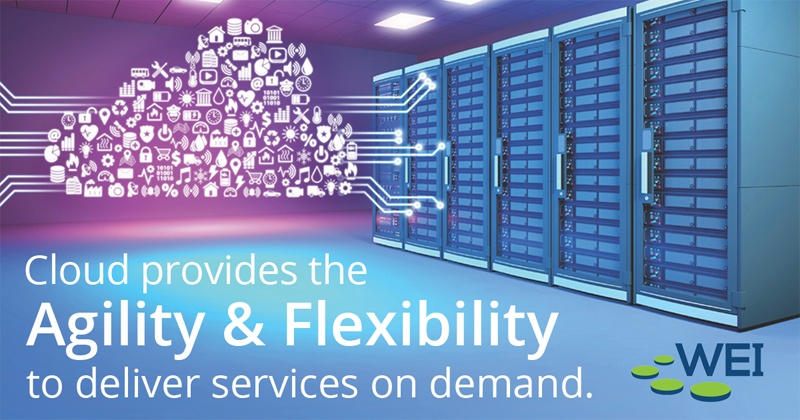 This agility not only delivers infrastructure plasticity, but peace of mind as well by delivering on the ability to achieve near absolute levels of business continuity and disaster recovery. What was once a far-fetched dream, the Internet of Things (IoT) and mobile devices, have permeated our lives, personally and professionally. In order to compete, enterprises must acknowledge this shift and implement infrastructure that supports it. Tech Check: Is your Tech Stack Hybrid IT Ready? It is a truly amazing world in which we work today. While the flow of capital is still essential for businesses to grow, materialize, and sustain them, it is ideas today that feed the global economy. Today’s businesses rely on innovators and visionaries. The delivery method for these ideas and revolutionary concepts is IT. IT is a part of nearly every business today because they depend on one or more essential apps to either communicate with their customers or manage their business. Just as the flow of capital is attracted to the most fluid and efficient markets, customers, and business transactions, tech stacks are attracted to those businesses with the most innovative, efficient, and flexible apps and technology. Those that can simplify and streamline the transaction experience will have an advantage over their competitors. In order for your business to make the most of any web related advantage, you need an adaptable ecosphere that is conducive to the constant evolution of those apps through DevOps. Although Hyperconverged Infrastructure (HCI) is not a dominant solution yet, all signs indicate it will be soon. In fact, Gartner predicts that in five years it will be reaching $5 billion in spending. According to Gartner, there are five keys as to why so many organizations and IT leaders are turning to HCI. 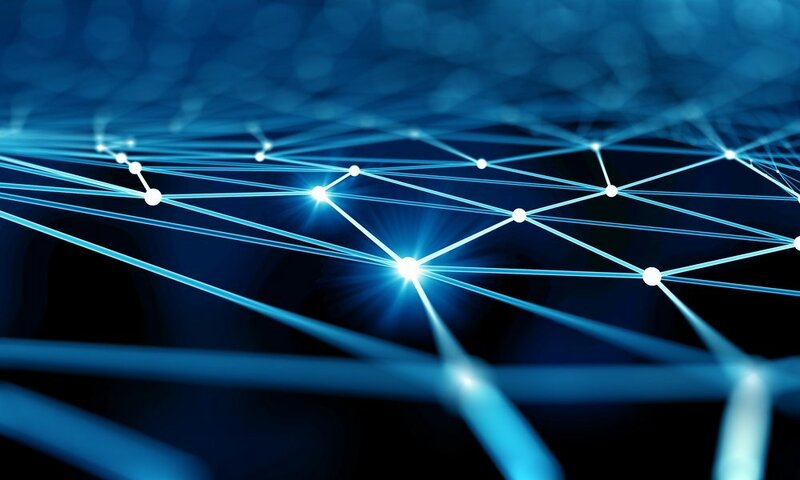 Digital-ready networks represent the future of enterprise growth and innovation with the use of technologies such as cloud, Internet of Things (IoT), mobile, social, and big data and analytics. But there is more to being digital-ready than just using these technologies; it requires your enterprise to view it as an essential business strategy for success. Hybrid IT is many things. 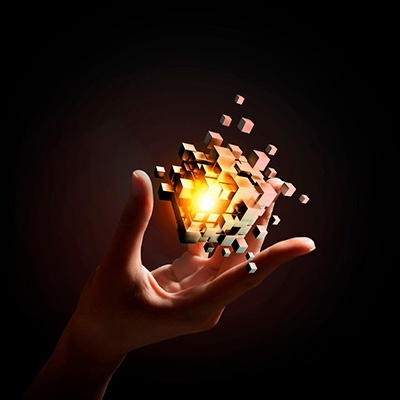 It is a new approach to the enterprise that requires new architectures, skills and toolsets. It also brings a whole new verbiage with it. These are terms that your management and staff need to become accustomed to because hybrid IT incorporates a number of new technologies. Many of these concepts are a divergence from the traditional IT structure of which we are all conversant. For those unfamiliar to this new approach to managing enterprise IT, we present to you a glossary of the primary hybrid IT terms. Mobile devices, cloud computing and the Internet of Things (IoT) are changing the way industries, including higher education, conduct business. 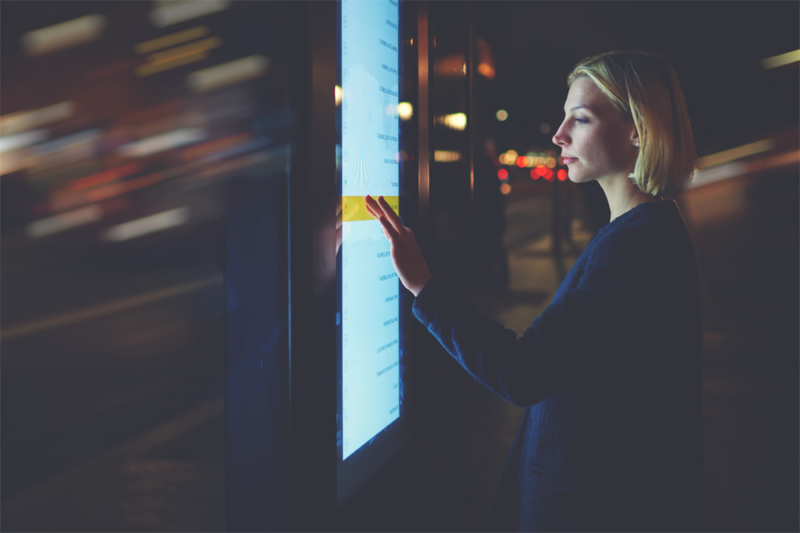 Two major benefits to mobile-first technology strategy include the ability to provide more flexibility and promote collaboration between individuals – two main points of interest for the millennial generation entering the workforce. For automobile owners, nothing probably generates as much uncertainty as the “Check Engine” light on the dashboard. A stream of questions commences through your mind once that ominous amber light announces its presence. Are you considering switching your enterprise from a legacy hardware infrastructure to a more streamlined system? 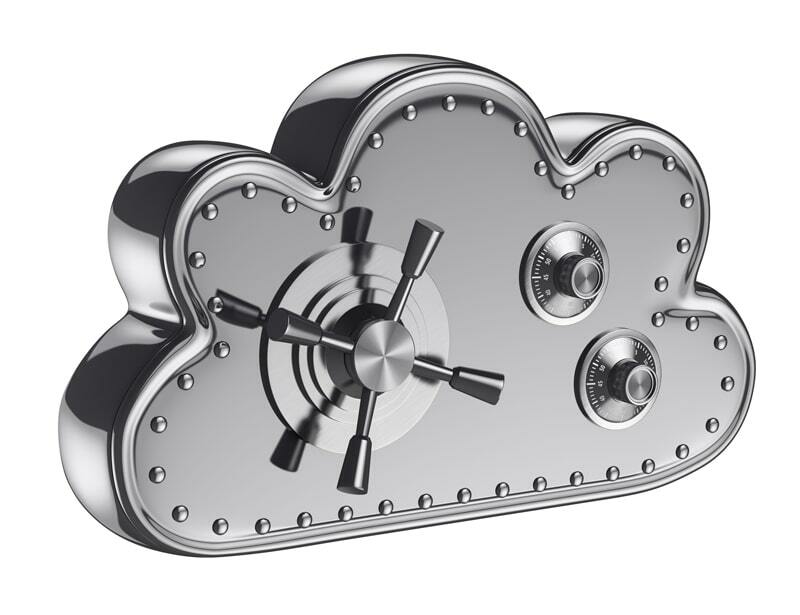 Are you afraid of the enterprise security risks that come with using a cloud-based technology? While the anxiety is understandable, there are proactive measures you can take to ensure the security of your data. Keep reading to discover the pros and cons of each deployment option as well as our cloud security recommendations to protect your information. gnIn Part 1 of this blog series, we discussed the unprecedented amount of money being allocated to cybersecurity in the coming year and beyond, as well as how money, without a core foundational strategy, could be simply money that is tossed to the wind. 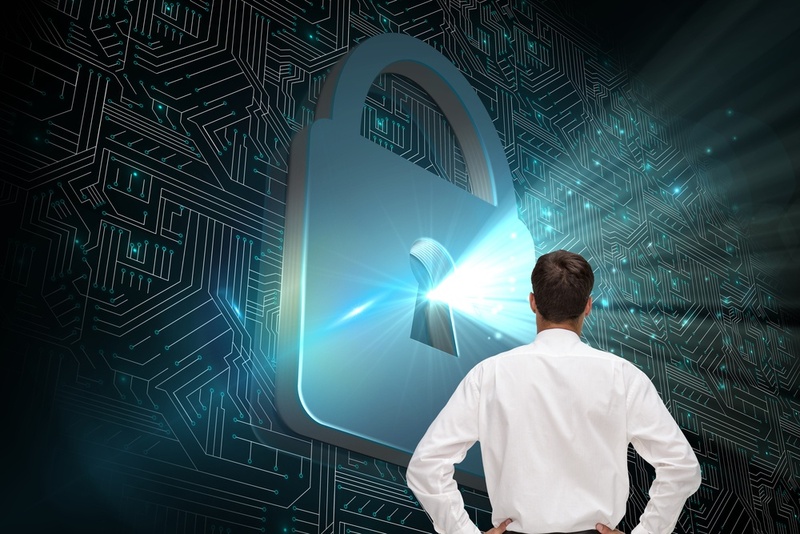 In Part 2, we will look at the remaining three of the five core principles that can make a meaningful difference concerning the your enterprise cybersecurity and users. It is the start of a new year - that time in which we break down the complexities of life into more manageable elements in order to strategize for the year ahead and attempt to improve upon our efforts of the year prior. This also applies to your company’s enterprise cybersecurity strategy. According to Gartner, worldwide cybersecurity spending reached $90 billion in 2017. With the advancement in technology, employees are no longer stuck working at their desk in order to access the information they need to do their jobs. 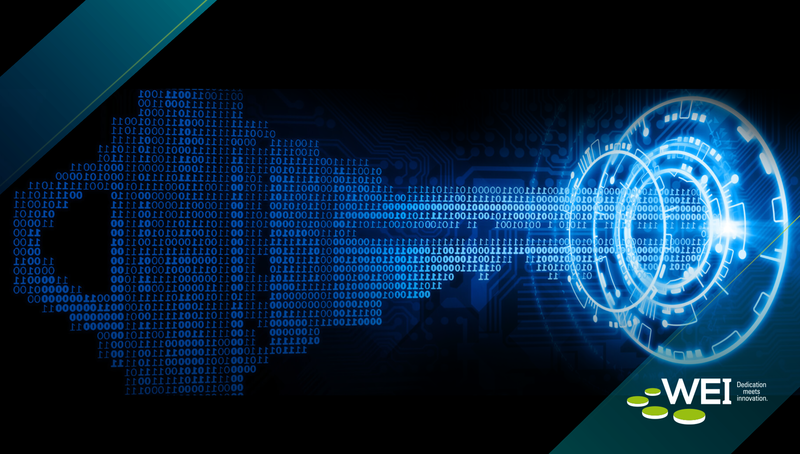 This freedom allows greater flexibility and productivity, but it also opens the door for enterprise cybersecurity threats and the potential for unauthorized access to proprietary information. 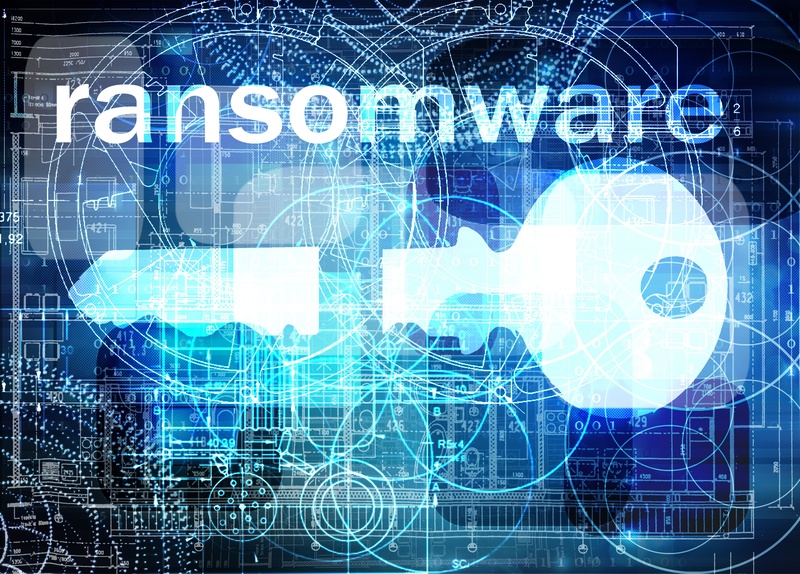 Ransomware was a top concern for enterprises around the world in 2017 and continues to be one moving forward. Organizations around the globe are increasingly dependent on technology to help reach business goals, but it comes with risk. Cybercriminals are masters at exploiting technological weak spots to hit companies where it hurts the most. It feels like every time we turn around there is a new cybersecurity threat to report that organizations need to protect themselves from. Malware is an unfortunate reality of living in a digital world, but there are many lessons we can learn from these attacks to safeguard sensitive material. Happy New Year! As we say hello to 2018, we can reflect on the massive progress technology made throughout 2017. 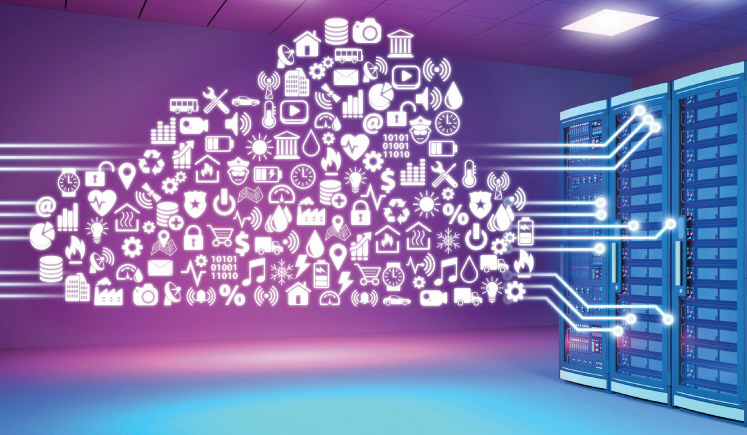 The cloud came to a new level of maturity, cybersecurity incidents rocked the world and organizations embraced hyperconverged infrastructure as the future of data center modernization. But what lies ahead? 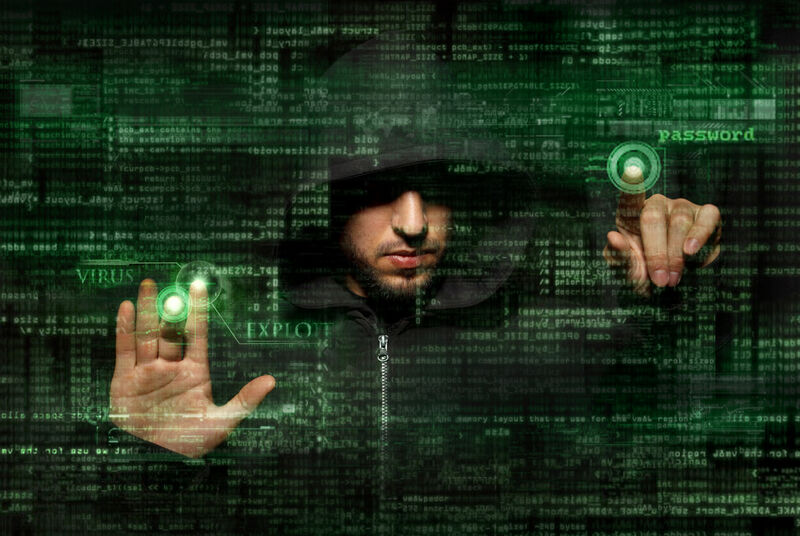 Read on for a look at cybersecurity predictions for the coming year. Have you ever looked at your dog or cat staring out the window of your house towards the horizon? Ever wonder if they contemplate what may be beyond their visible perimeter? It used to be that internal IT did not have to contemplate what lay beyond the perimeter. 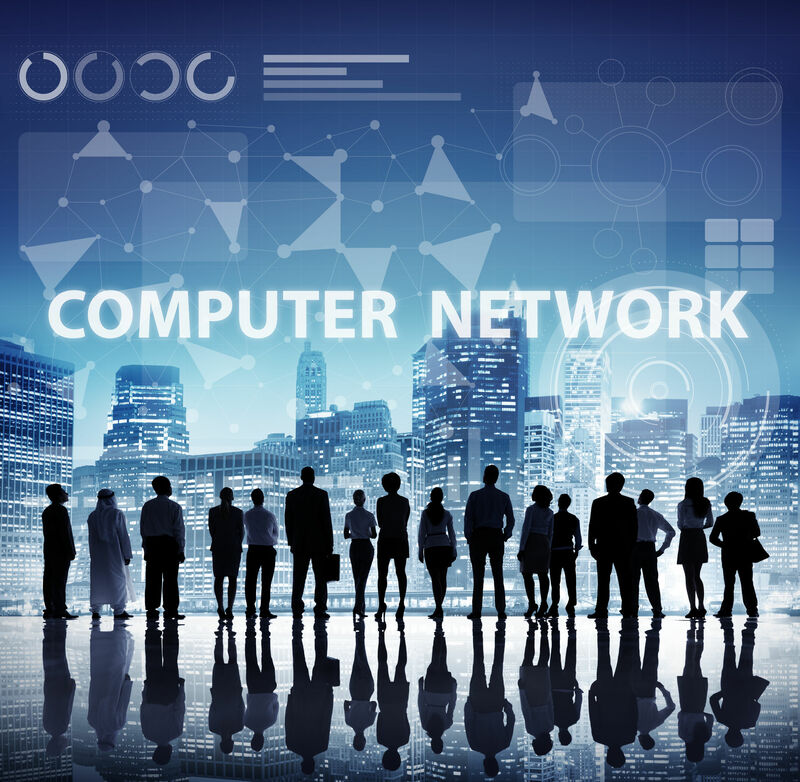 Network security was fairly simple – create a wall of security around the data center and its resources, along with the users and their desktops scattered throughout the building. Traffic passed through the perimeter firewall while users passed through the front building entrance to access the network. It was a page out of the medieval castle defense playbook in that unauthorized users, unknown devices and external threats were kept at bay outside of the walled perimeter. This holiday season, the frenzy is not about the “must have” toy, it is the must have investment – Bitcoin. The TV networks cannot stop talking about the dramatic rise in its value that seems to occur on a daily basis, if not hourly. 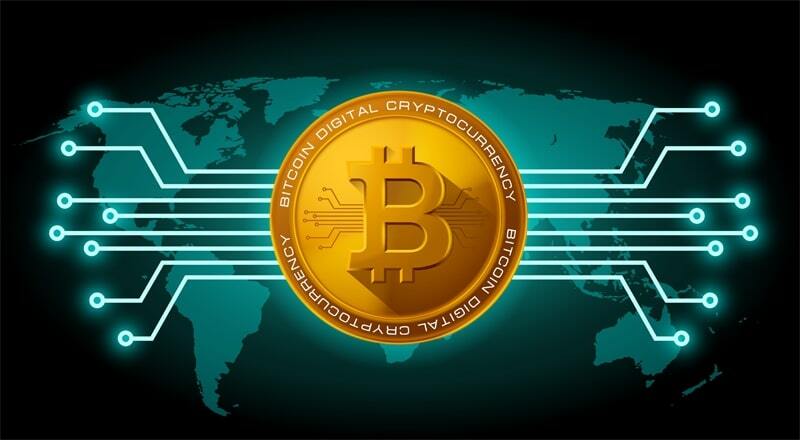 The cable business news shows shuffle in cryptocurrency and financial industry pundits to discuss the significance the new digital gold and the cryptocurrency market at large. They debate each other whether bitcoin is a sure deal that will continue returning positive dividends, or a bubble that is about to burst. Both sides of the argument have their “experts” as to why you should or should not get involved bitcoin mania. CNBC reports that people are maxing out their credit cards to buy, buy, and buy. Some people are even taking home equity loans on their house to maximize the number of coins they can afford. 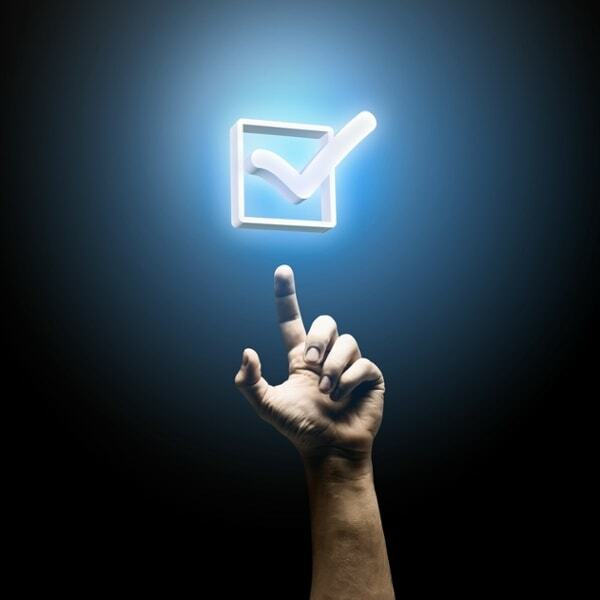 What are IT’s Top 10 Wireless Networking Priorities Today? 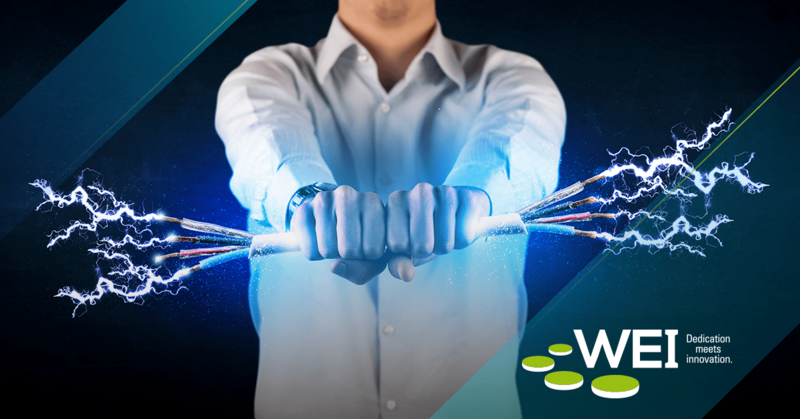 Is your organization’s wireless networking in need of some modernization? Digital transformation has the power to boost your company’s productivity, bottom line, and even employee retention. While the concept may seem complicated, working with a trusted technology partner helps to simplify these concepts. Mark Twain popularized the phrase, “There’s gold in them thar hills,” when he wrote about the gold rush of 1849. Today, the gold lies not in the hills of California, but within crypto mining servers dispersed across the Internet. This new gold is not mined by the power of the pick and shovel, or even dynamite. Instead, computer processors power the mining operations that create this digital gold. Welcome to the modern day gold rush of today’s digital age. Has your organization clearly defined your hybrid IT strategy? According to Gartner’s Managing Vice President, Chris Howard, "Many organizations have now passed the definitional stage of cloud computing and are testing cloud architectures inside and outside the enterprise, and over time, the cloud will simply become one of the ways that we 'do' computing, and workloads will move around in hybrid internal/external IT environments. As a result, the traditional role of the enterprise IT professional is changing and becoming multifaceted. A hybrid IT model requires internal and external IT professionals to support the business capabilities of the enterprise." According to the findings of a recent study, it is estimated that 90 percent of companies will eventually move to a Hybrid IT model. 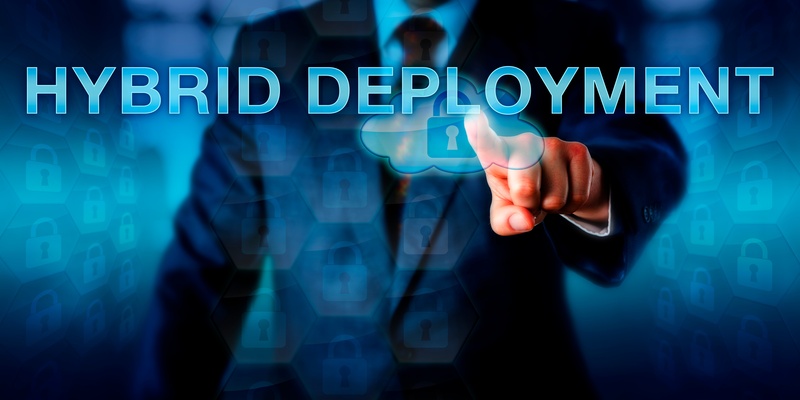 This is no surprise considering the many advantages such as agility, scalability, resiliency, automation, simplicity, and reduced costs that only hybrid IT can offer. 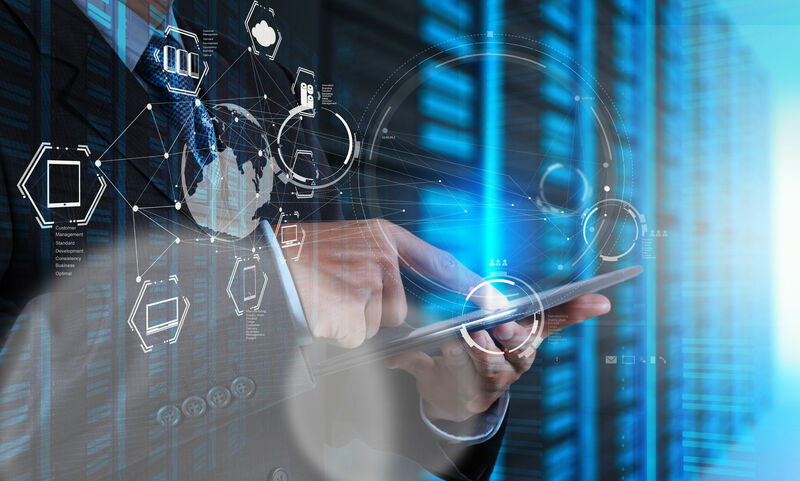 The quickening migration to hybrid IT is evident in an IDG study published in Forbes, which estimates that a typical IT department has only 40% of its apps and platforms residing in on premise solutions. How exactly does hybrid IT transform the role of the traditional IT team? Read on to find out. Hybrid IT is a new paradigm that is redefining the function of IT within an organization. However, the implementation of new archetypes always comes with challenges along the way. Change is never easy, but often worth it. The traditional on premise enterprise took a long time to build, so naturally, rebuilding and modernizing it will not happen overnight. Hybrid IT vs. 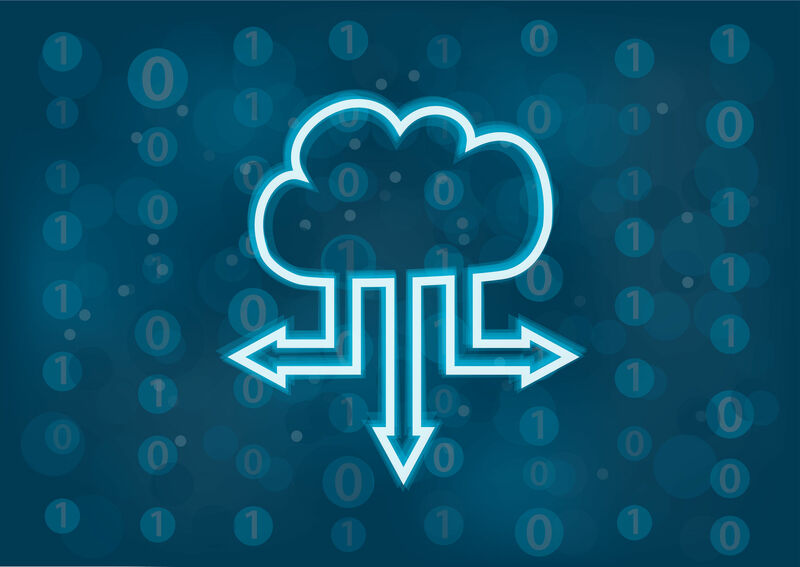 Hybrid Cloud: What’s the Difference? Today, the wide variety of available technology solutions opens the possibilities for organizations seeking the right combination of strategies to meet their diverse, unique needs. 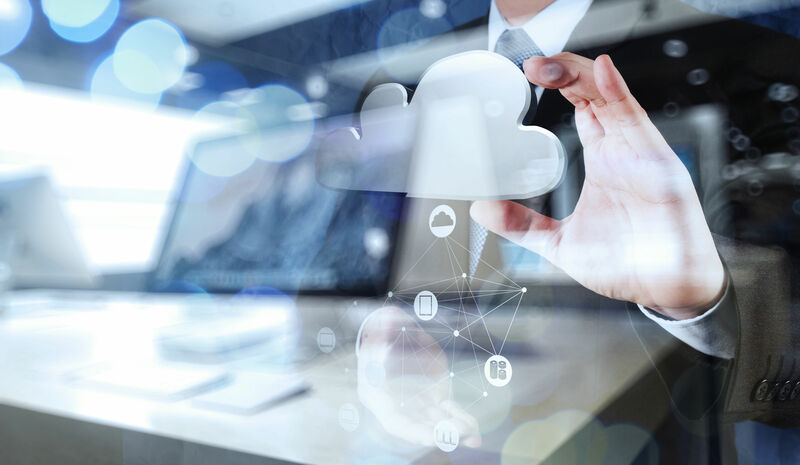 Luckily, companies who want to leverage the benefits of cloud computing don’t have to go “all-in” immediately; they are able to mix their traditional IT approaches with cloud-based solutions: this is described as hybrid IT. Why is traditional IT limiting? Read on for a look at hybrid IT’s importance. Have you heard about the benefits of hybrid IT? In the world of technology, there was a time in which IT drove business needs and the organization was pressured to keep up with its speed. An obvious example was the proliferation of the internet in the 90’s and the integration of shared resources through Ethernet. These technologies launched new paradigms in the same way that the cloud and the progression of software defining the data center are doing so today. What is Hybrid IT and Why Should My Organization Implement It? 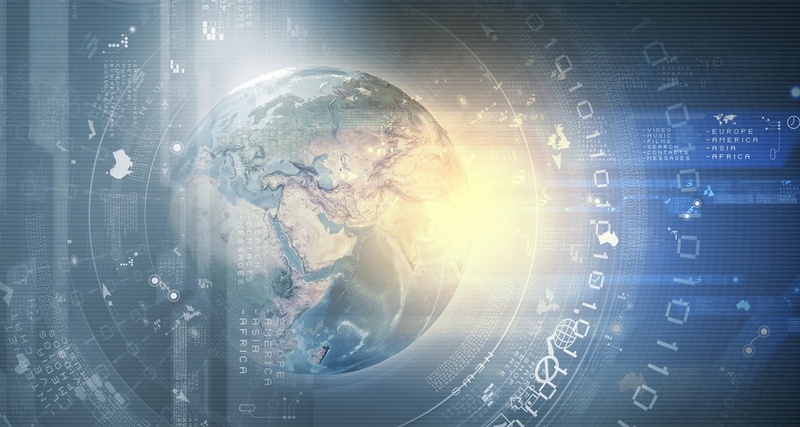 The world is indeed going digital, and not just because technology is dictating it. This massive upheaval is the result of change agents such as the cloud, mobile computing, social media, big data analytics, and the consumerization of IT; all of these have transformed how the world does business today. Is your organization keeping up with the times? Read on to brush up on the topic of hybrid IT, and find out why 63 percent of organizations are now pursuing a hybrid IT approach, according to a Harvard Business Review survey. 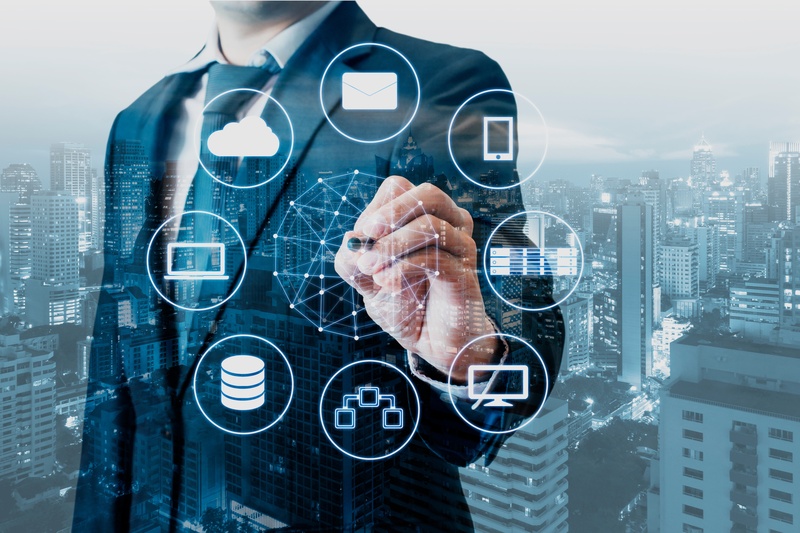 You’ve probably heard talk about virtualized desktop infrastructure (VDI) and Desktop as a Service (DaaS), but do you know what benefits it can offer your organization? 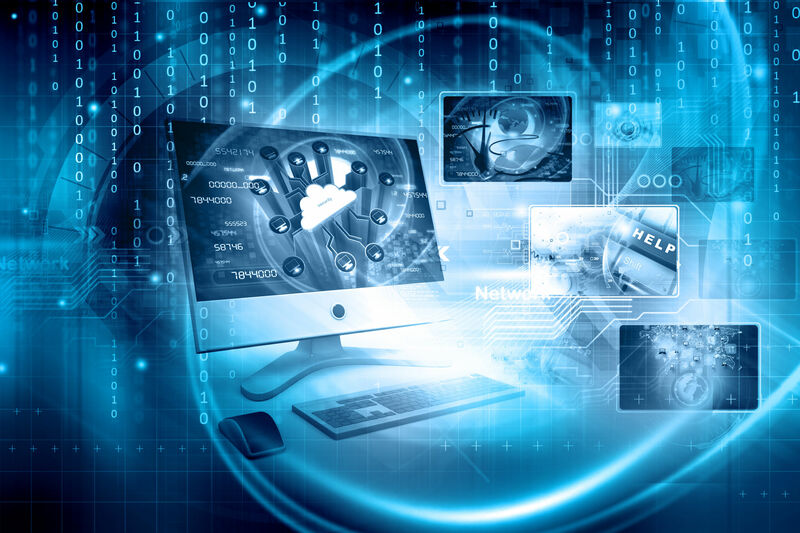 While desktop virtualization isn’t a new concept, amazingly, these technologies have the power to improve user productivity and allow your team members to accomplish more at your enterprise. 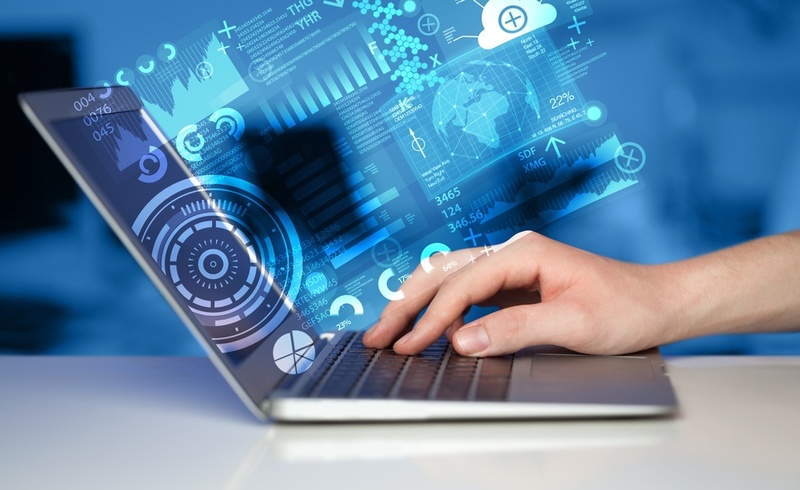 Read on for a look at VDI and DaaS, as well as ways you can put it to use at your company. Regardless of organizational size or industry, every company faces significant data and network security concerns today. Those concerns increase substantially for organizations that deal with protected or sensitive information in any way, including health, financial, or even basic customer data. 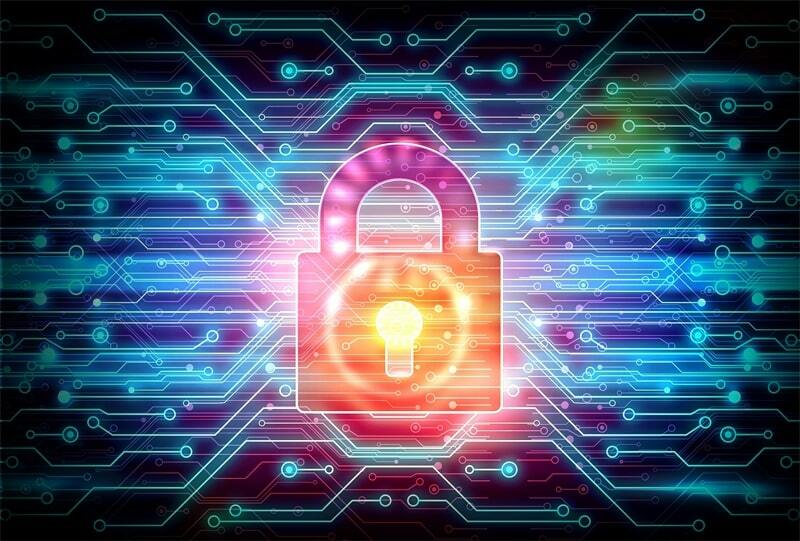 The past decade has seen a growing number of both internal and external data security breaches in industries as diverse as healthcare, retail, entertainment, banking, and military contracting, and threats are unlikely to subside anytime soon. 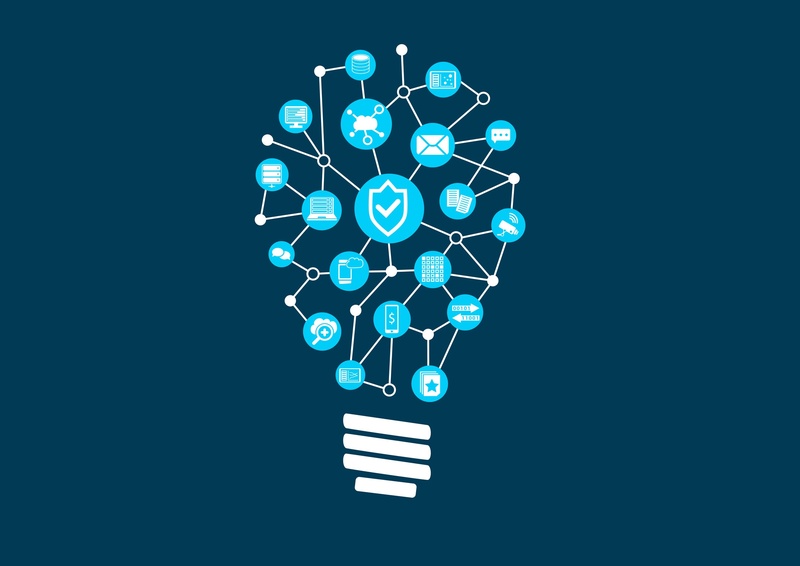 Organizations who act now to counter the threats of the future are the ones who have the best chance at protecting customers, employees, and brand reputations. 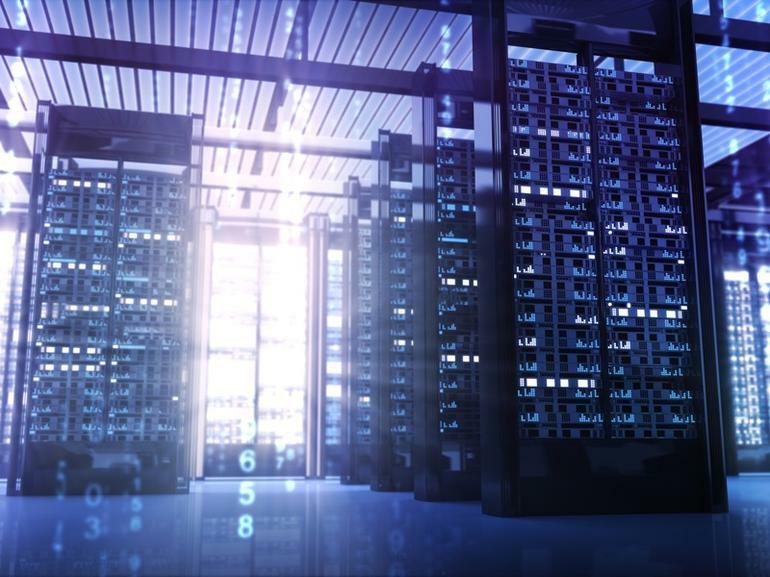 There are a couple of reasons why organizations are slow to adopt software defined storage (SDS) when compared to its cousin, software defined networking (SDN). This is likely due to the concept of utilizing commoditized hardware. After all, if a switch goes down, it’s just a switch. If a RAID (Redundant Array of Independent Disks) goes beyond the point of degradation, it’s your own valuable data, which is why enterprises have been willing to pay such absorbent costs on proprietary disk array devices that boast enormous levels of redundancy. In addition, some of the terminology frequently used to describe various aspects of SDS can be confusing. In today’s data-driven world, nearly all businesses are conducting activities in a digital manner and can’t afford to lose their critical data and information. There are many ways a business continuity interruption can strike, including a malware or ransomware attack, human error or accident, a malicious insider or even a natural disaster. 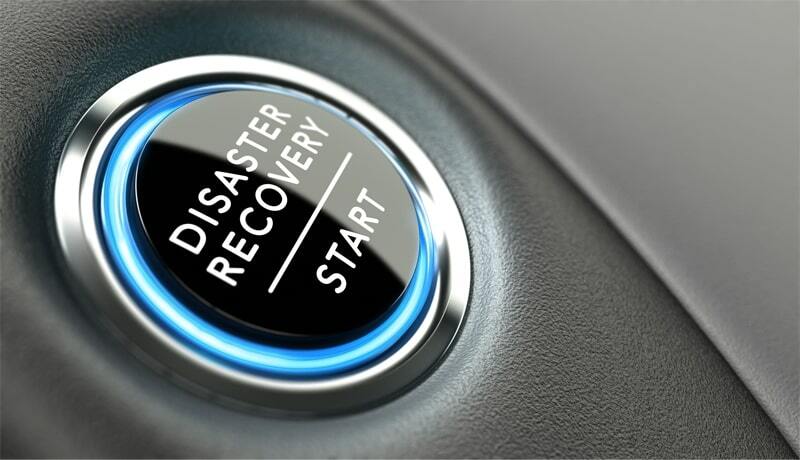 Instead of scrambling to pick up the pieces after such an unfortunate event, it’s best to create a solid disaster recovery (DR) strategy now. The IT data center finds itself at a decisive nexus in its life cycle and is about to undergo a similar transformation to that of the Google self-driving car. 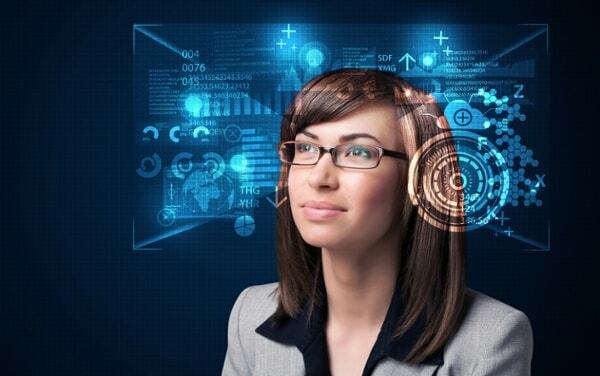 Just as a computer-driven car doesn’t have to listen to the needs of a human driver, a software orchestrator drives all of the IT decision making, providing automated judgments for the organization based on the immediate conditions at hand. A Software Defined Data Center (SDDC) completes this transition. 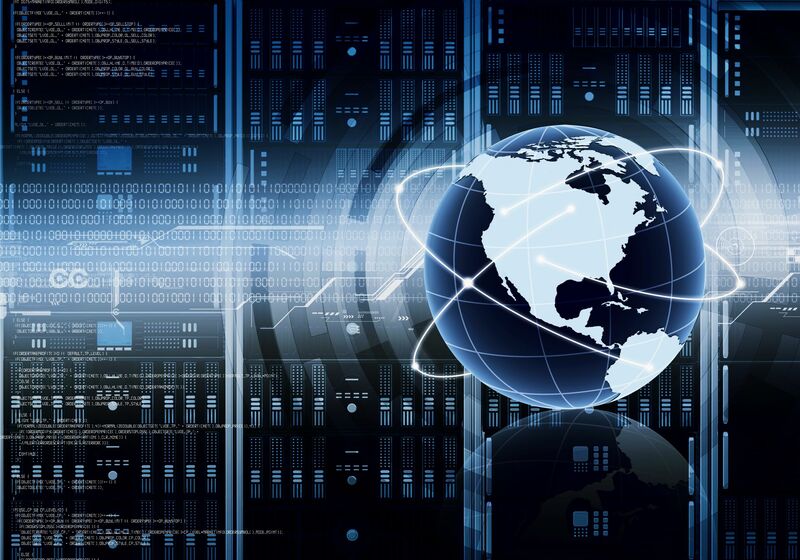 Software Defined Networking is a new paradigm. 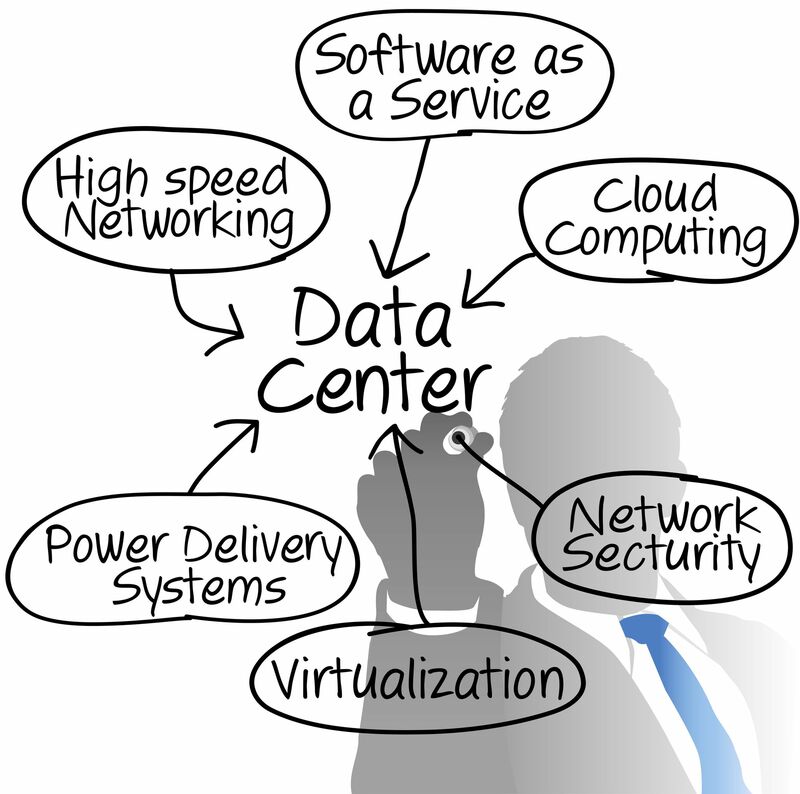 One that is emerging in data centers around the world. It is not simply because it is the next natural progression of networking, but rather the market is demanding a modernized infrastructure to keep up with the pace of technological change. Let’s explore 3 (although there are several) market drivers begging for the salvation that SDN provides. Organizations are currently faced with a cloud computing dilemma: should you use big data solutions or stick with the traditional data warehouse? If you choose the wrong platform to handle your company’s workload, you may find yourself shelling out hundreds or thousands of dollars in frivolous fees. 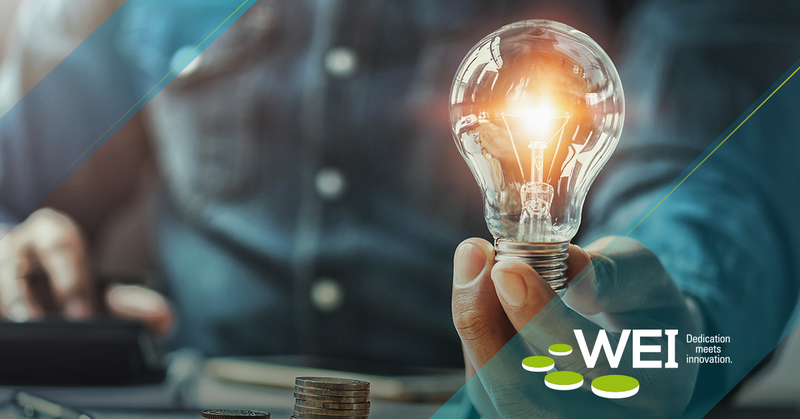 Let’s take a look into what big data and the data warehouse can offer to help you determine which option is right for your organization. 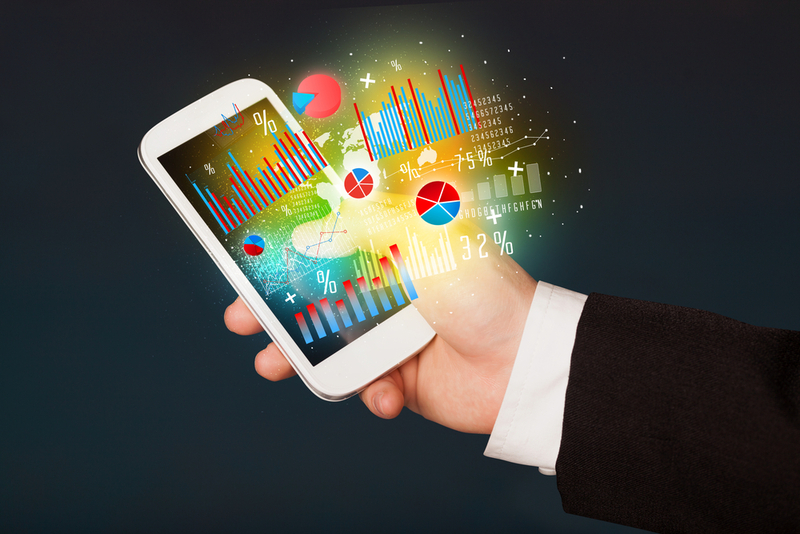 What is Your Enterprise Mobility Strategy for 2016? Mobile technology is reinventing the workplace. 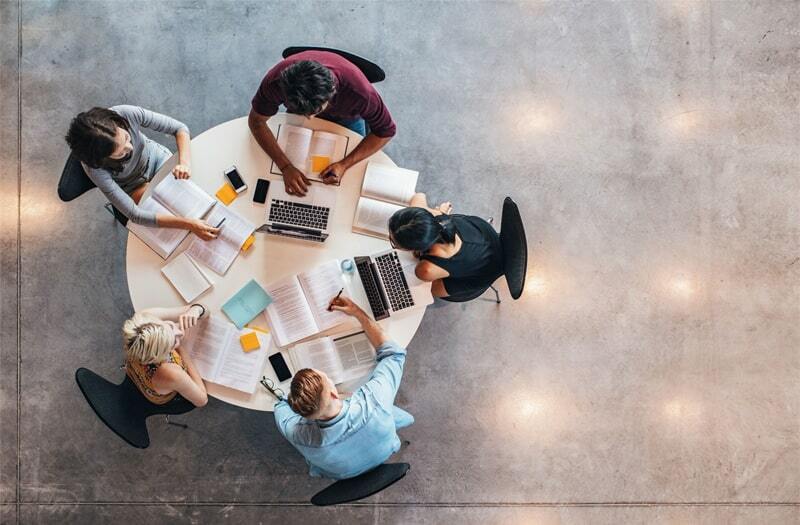 As more and more companies institute a work from anywhere policy, and with the proliferation of mobile apps and interconnected devices, the workplace is moving far beyond the traditional office setting. 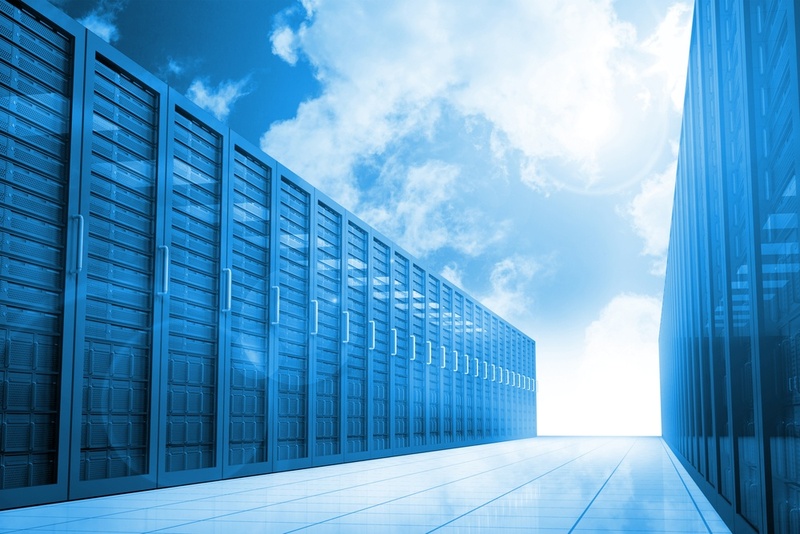 Is your company leveraging the advantages of hybrid cloud? 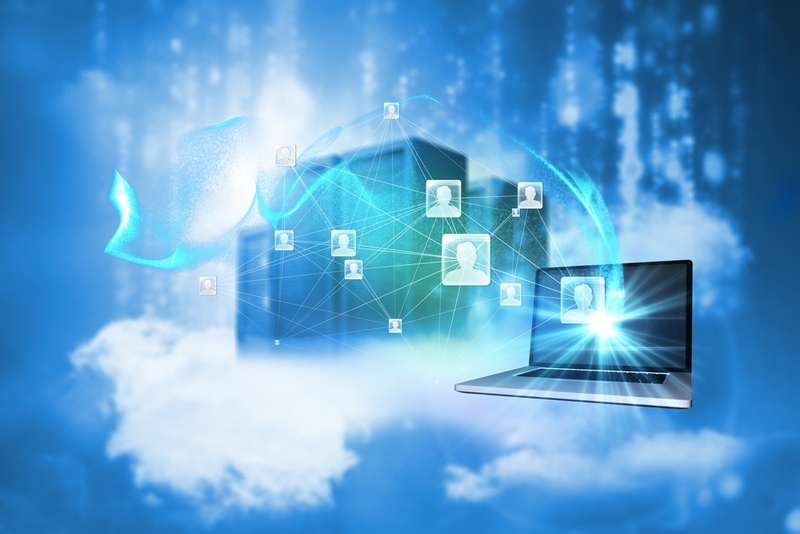 A “happy medium” between private and public cloud options, the hybrid cloud allows IT leaders to use services and resources from third-party cloud computing providers in a partial manner curated to fit their needs. They can design a custom strategy using only services they desire while gaining the benefits of both public and private models. Cloud computing offers a new avenue for companies to cut costs and save on their IT expenditures, but choosing the wrong service provider can result in a serious hit to the company wallet. 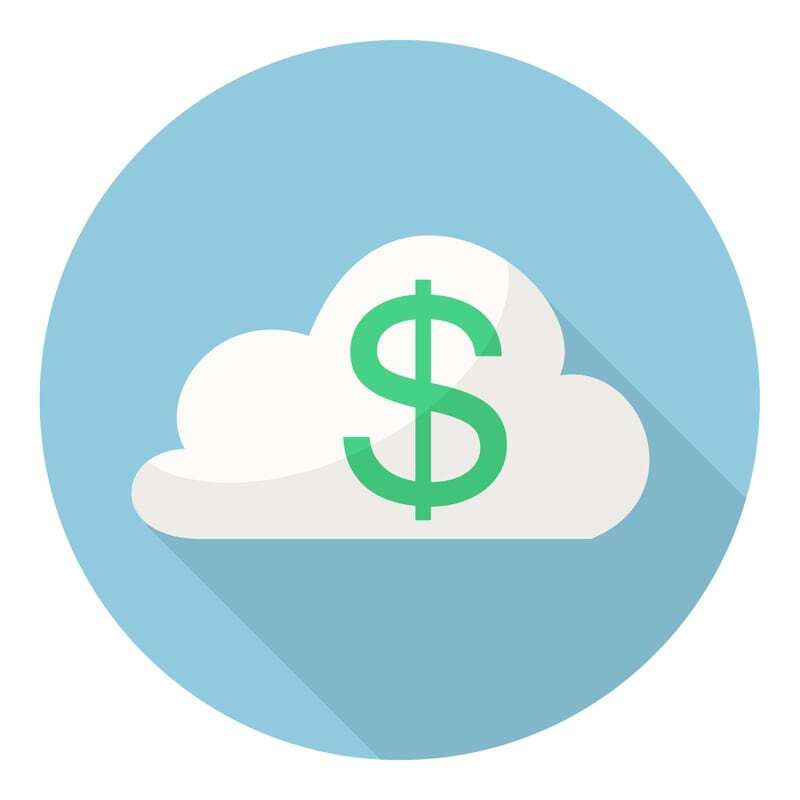 To avoid “sticker shock" in the cloud, read on for tips for reducing your cloud computing costs. Getting your team up to speed in your ITaaS transition can seem daunting with all of the major changes that look and feel different from original protocol, but ultimately the process boils down to careful planning and thorough communication. While change always starts at the top, an effective transformation will depend on the enthusiasm of your workforce, and their willingness to embrace new ways of doing things. For a step-by-step guide that will lead you through all of the important steps of this process, check out our whitepaper, Making the Transition to ITaaS. But for starters, the following tips should position your organization for a successful transition to ITaaS. Not long ago, many organizations were reluctant to adopt cloud technologies mostly due to concerns about security and loss of data control. 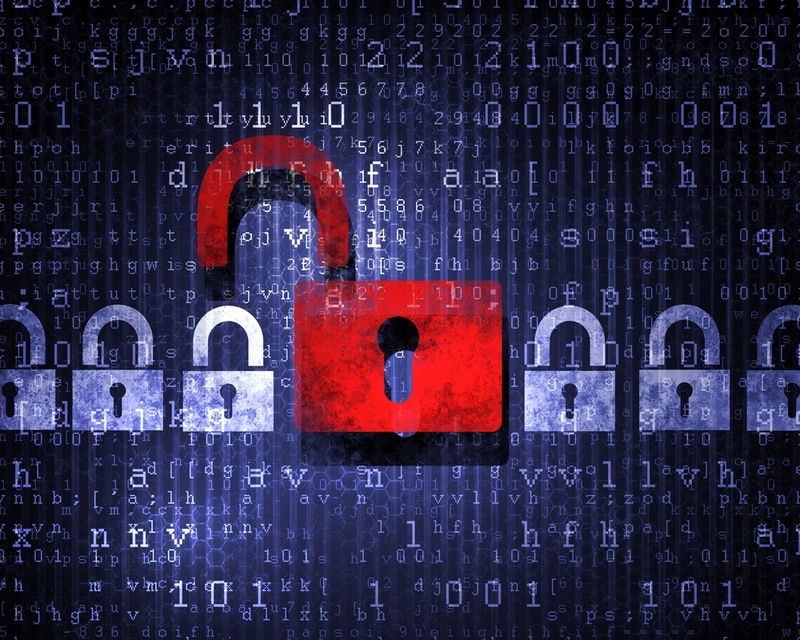 After all, the traditional approach to network security is heavily focused on protecting the network perimeter. How do you do that when the Internet is being used to interact with applications, services, and data? 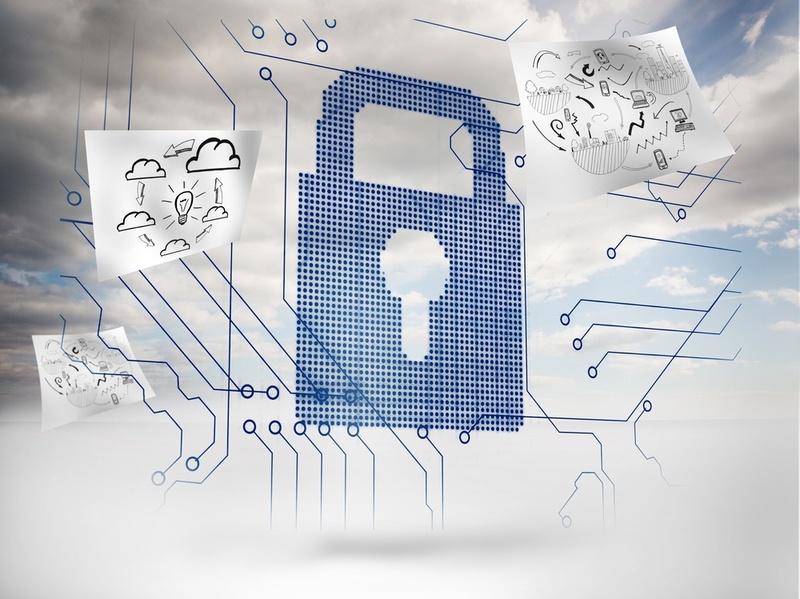 It’s no surprise that enterprises were a bit unsettled with the idea of sharing the responsibility of security and privacy with cloud providers. 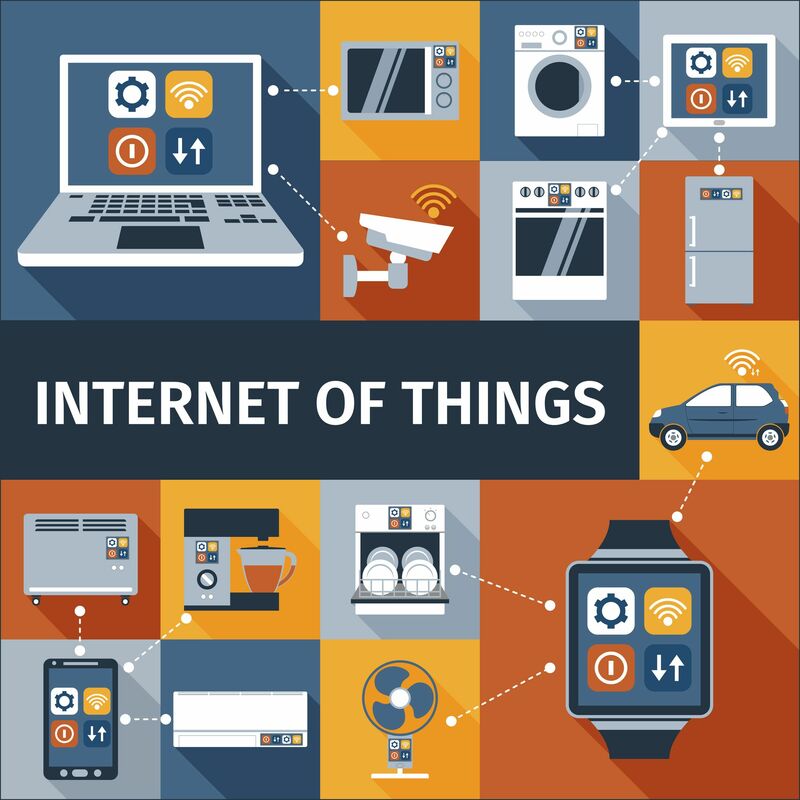 The Internet of Things (IoT) may have been a far-fetched dream in the past, but it is quickly becoming revolutionary and lucrative in the present. 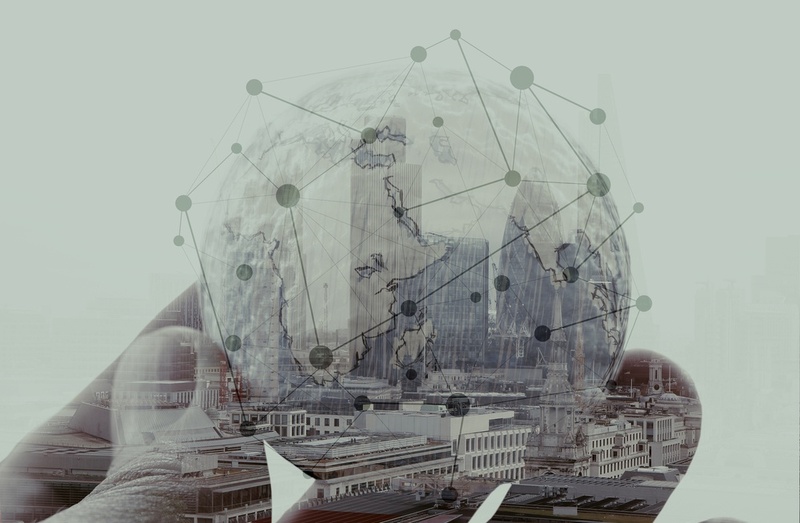 Businesses, citizens and even governments are adopting IoT into their lifestyles by connecting devices and products together and controlling them remotely. 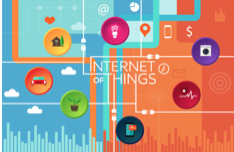 The Internet of Things has almost limitless applications, from every aspect of business to healthcare, controlling the home environment and even growing plants.